We Jupiter were ever principal. The high renown we stand in at this season? 20 Solely to honour our highness day by day. And now to the matter give ear and we shall say. Which was debated in place said before. Purging all humours that are contagious. His glaring beams marreth all in two hours. Whereupon they both then Phoebe defied. In all that she may their powers be denied. Than Phoebus to Saturn had made before. He suffereth neither sunshine, rain, nor snow. 65 The same to redress, was cause of their assembly. To take upon us whereto we did assent. And to our honour far inestimable. Who can we say know us as we should be known? By any weather meet to be amended. We shall shape remedy for their relief. 95 Whom we list to choose here amongst all ye. Which of you is most meet to be our cryer. The play opens with Jupiter's descent fom heaven to outline the matter of the play to the audience and explain the reason for the recent turbulent weather. He tells them that this has been caused by an argument between the gods Saturn, Aeolus, Phebe and Phoebus, who he managed to reconcile by calling a parliament to resolve their conflict. Now he has decended to earth to solicit the views of mortals as to what their ideal weather might be, and so reach an accord between earth and heaven. 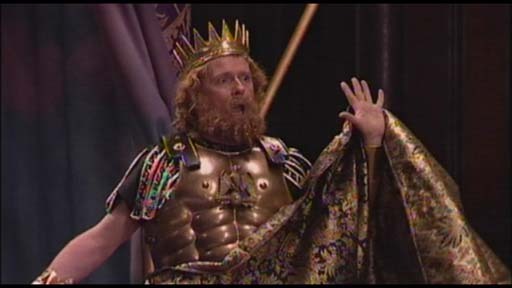 The significance of performing Jupiter at the Henrician Court is considered, as well as the various ways in which the role was interpreted during the project. Attributed to John Lydgate c.1500 this dream-vision allegory is highly reminiscent of Jupiter's opening speech in The Play of the Weather.